Egypt is finalizing details of a long-term truce deal based on 2014 Agreement between Israel and Palestinian factions, said reliable sources to Asharq Al-Awsat newspaper. This arrangement would pave the way towards a subsequent prisoner exchange deal and huge projects in Gaza. Palestinian sources affirmed that there is an initial approval from Israel and Hamas, but Egypt hopes to conclude a reconciliation agreement before or parallel with the truce. The sources added that truce talks sent a negative message because they were held during the meetings of the Palestinian Central Council, they went a long way without referring to President Abbas, and they disregarded the Palestine Liberation Organization as being the core of the deal. Khalil al-Hayya, a senior member of the Hamas, said that talks with Israel on a long-term ceasefire deal were in “the final stretch.” He added that the talks with the factions, Egypt and the UN have made a significant stride in rehabilitating the understandings of 2014. “Hamas needs the truce as the person needs air,” he added. “That’s the only way,” Israeli Regional Cooperation Minister Tzachi Hanegbi, a member of Netanyahu’s security cabinet, said on Thursday when asked if a broad arrangement depended on the return of the soldiers’ bodies. “Nothing will be done to enable (Gaza’s) significant rehabilitation and the improvement of infrastructure and ports and other such fantasies, unless they release the bodies and the two Israeli captives,” he told Israel radio. Extensive meetings will be resumed on Saturday between the Palestinian factions and the intelligence body leadership to discuss topics such as the truce and reconciliation. UN Secretary-General Antonio Guterres on Friday presented four options aimed at boosting the protection of Palestinians in Israeli-occupied territories, from the deployment of UN-mandated armed forces or unarmed observers, to expanding UN assistance. The proposals were contained in a report requested by the General Assembly in response to a surge of violence in Gaza, where 171 Palestinians have been killed by Israeli fire since late March. Guterres outlined four options, but he did not make a specific recommendation. He noted that all options would need the cooperation of both parties, a sustained cessation of hostilities and additional resources to ensure they were viable. It remained unlikely however that Israel would agree to the proposals. “The combination of prolonged military occupation, constant security threats, weak political institutions, and a deadlocked peace process provides for a protection challenge that is highly complex politically, legally and practically,” he wrote. – Providing a “more robust UN presence on the ground” with rights monitors and political officers to report on the situation. – Creating a civilian observer mission that would be present in sensitive areas such as checkpoints and near Israeli settlements, with a mandate to report on protection issues. – Deploying an armed military or police force, under a UN mandate, to provide physical protection to Palestinian civilians. A small European-staffed observer mission was deployed in the West Bank city of Hebron in 1994, but Israel has since rejected calls for an international presence in flashpoint areas. In the report, Guterres said the United Nations was already undertaking many protection initiatives but that “these measures fall short” of the concerns raised in a General Assembly resolution adopted in June. In that measure, the 193-nation assembly condemned Israel for Palestinian deaths in Gaza and tasked Guterres with the drafting of proposals for “an international protection mechanism” for the Palestinians. On Friday, Israeli troops shot dead two Palestinians taking part in protests along the Gaza border and 270 other Palestinians were wounded. Israel has defended its use of live ammunition in Gaza by invoking its right to self-defense. One Israeli soldier was shot dead by a Palestinian sniper in July. UNRWA is facing a major budget shortfall after President Donald Trump’s administration decided to withhold its contribution to the agency. The report released to all UN member-states comes amid a vacuum in Middle East peace efforts as European and other big powers await a peace plan from the Trump administration that has been under discussion for months. UN diplomats have recently begun questioning whether the US peace plan will ever materialize. The United Nations has warned that a new war could explode in Gaza. 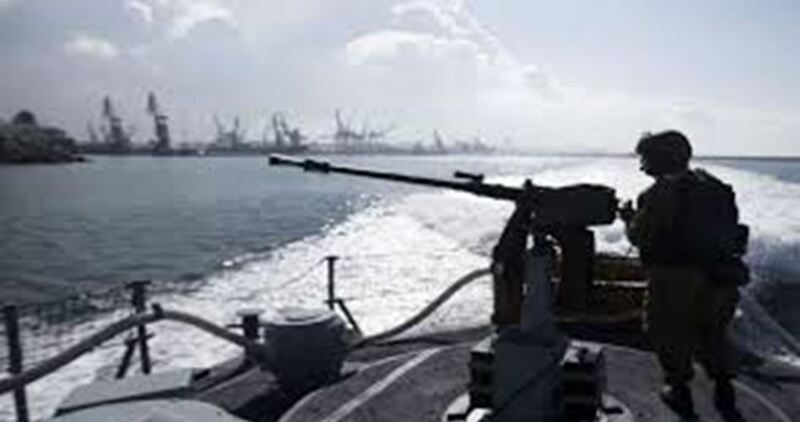 Israeli naval forces on Saturday morning opened fire on several Palestinian fishing boats off the coast of the besieged Gaza Strip. Local sources said that Israeli forces targeted the Palestinian boats off Beit Lahia region in the northern part of the enclave. No initial injuries or arrests were reported during the armed attack. There are those who believe that Israel’s recently-passed Nation-State Law represents a failure of the one-state option, as it formalizes the exclusively Jewish nature of the dominant state in Palestine and with it, the disenfranchisement of the non-Jewish population. Concerns about the fate of the Israeli Jews in a liberated Palestine have until now been a major reason for the weakness of international support for our cause. This dilemma is solved by a One State solution that clearly calls, not for “throwing them into the sea” (an idea that is as unfair as it is unrealistic), but for the recognition of full rights and equality for all. If my primary goal as a Palestinian is to return to my land, it is of less concern to me who else stays or goes. The most important thing for me is to regain my rights and see the era of displacement and oppression brought to an end. The idea of One State is aligned with the spirit of our time. The global consciousness has evolved away from the idea of nationalism toward one of citizenship. Millions of Arabs today are citizens in Europe and America who enjoy the same rights as all other citizens of those countries. Why can’t Jews live in Palestine in exactly the same way – on the basis of citizenship and not of Occupation? 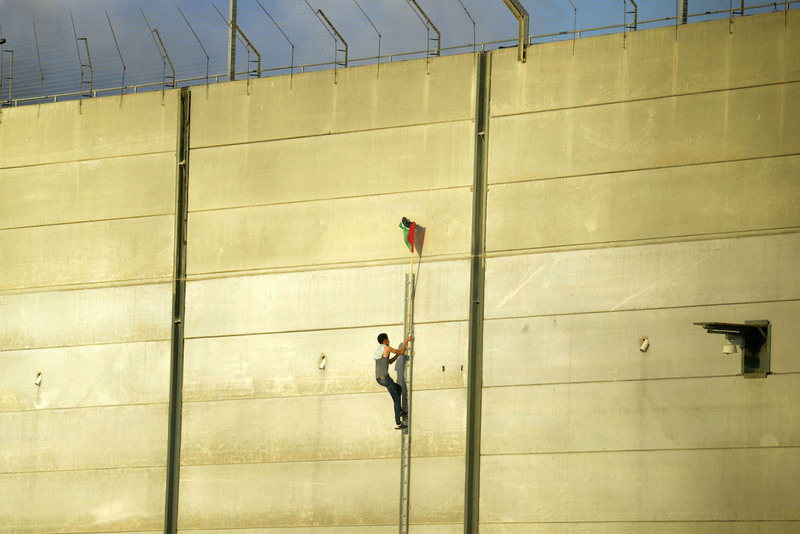 There are many Palestinians who have emigrated to the West whose interests have become linked to their new homeland. They – and still less their children and grandchildren – would not necessarily return to a liberated Palestine, because their new countries have become an integral part of their lives. It is also possible for new generations of Israeli Jews, who are similarly connected to Palestine, to have a way to live in this land without remaining in the unacceptable position as occupiers. There are some who reject the idea of coexistence with Israeli Jews in a shared land out of a subconscious fear that sharing the same society with people of other ethnicities and religions means we will all become alike. Yet Palestinians in the West already live together with many other groups, including Jews and even Zionists, in one state and under one law. In a single multi-ethnic Palestinian state each group will still be able to maintain its shared bonds of religion and culture without having to live in walled ghettoes like the people in Gaza, the West Bank and Jerusalem today. We Palestinians can have our full rights in a single state. We may still have to struggle for them using the tools of peaceful civil struggle, as Palestinian Member of the Knesset Haneen Zoabi and activist Raed Salah do today, but it will be far less costly and bloody than the struggle we face today in West Bank, Gaza and the Diaspora. The truth is that we already live in a single state, governed by Netanyahu in coordination with the Palestinian Authority (as former PLO chief Saeb Erekat has publicly admitted), and we are left imploring the Israeli government to open its checkpoints to let patients out for treatment and medical supplies in for our hospitals. The Gaza Strip is a prison inside this one state, whose people are struggling to break down their prison walls. 1948 (“Arab Israeli”) and West Bank Palestinians also live in ethnic enclaves within this single state as second-class citizens and non-citizens in the land of their birth. Thus, the One-State thesis does not call for the establishment of a new reality, but for a struggle based on the existing reality: a struggle to bring down the walls, end ethnic discrimination, and build in their place a state that insures equality, dignity and freedom for all people. This is more realistic than seeking the end of Israel or even the creation of a separate Palestinian state – and also more just. Implementing a One-State solution will not be easy, and the Occupation will fight hard against it, but since when has a ruling elite’s refusal of change been a reason to give up the struggle for fairness and basic human equality? The power of the One State idea is not its amenability to the Occupier, but its intrinsic nature as both the least costly and the morally superior solution. That should make it worth our while to reimagine our struggle in the light of this vision. Our problem is with the racism and the occupation of Israel, not with the existence of Jewish people in Palestine. Our goal is to topple the project of Occupation while allowing anyone born in Palestine to remain here based on equal human rights as citizens of a single state. The simplicity and justness of this vision should compel us to reformulate our struggle toward its attainment. 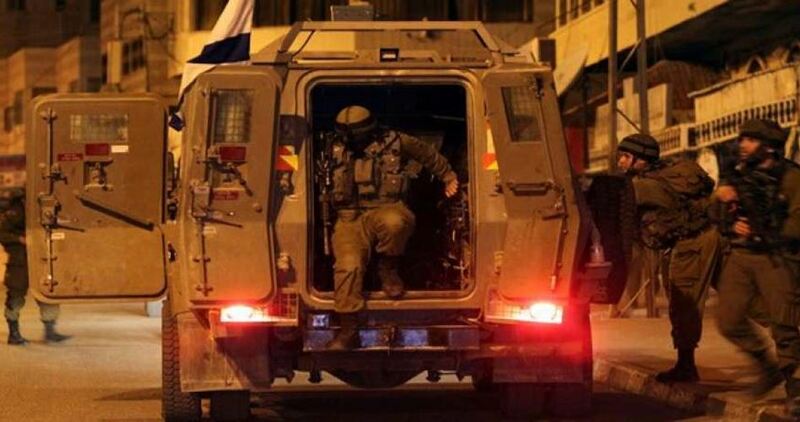 The Israeli Occupation Forces (IOF) stormed at dawn Tuesday Ya’bad town, to the south of Jenin, and carried out a raid and search campaign. Local sources told the PIC reporter that a number of houses were stormed and searched during the raid. The houses’ owners were summoned at the scene, the sources added. Following the raids, violent clashes broke out in the town amid heavy fire of teargas bombs. Meanwhile, IOF arrested an ex-prisoner in Balata refugee camp, east of Nablus, while on his way back home from occupied Jerusalem where he was undergoing an eye surgery. The detainee spent more than six years in Israeli jails before being released four years ago. OCCUPIED AL-QUDS, PALESTINOW.COM — Israeli police reopened at dawn Saturday the gates of al-Aqsa Mosque, after being closed for hours on Friday. Hundreds of Palestinian worshipers were managed early today to perform Dawn prayers in the compound. Earlier Friday, Israeli police closed all gates to the Mosque and forced dozens of Palestinians protesting the closure to leave. Police also prevented Palestinian protesters from gathering in front of Lion’s Gate (Bab Al-Asbat) for Isha prayer. Police forces closed all entrances to the Old City and al-Aqsa gates, installed military checkpoints, and summoned more police officers in the area. A state of tension prevailed in the compound and the occupied city as a whole after Israeli police shot and killed a 30-year-old Palestinian resident of Umm Al-Fahem for allegedly carrying out a stabbing attack. Member of PLO’s Executive Committee and Fatah’s Central Council Azzam Al-Ahmad said yesterday that his movement will reject any truce in Gaza if it was not part of the negotiations, Shehab reported. Speaking to the BBC, Al-Ahmad said that the PLO and Fatah’s conditions to accept any truce is accepting a PLO delegation chosen and dispatched by the body, Fatah and Palestinian Authority President Mahmoud Abbas. Al-Ahmad added that the truce agreement, which is being discussed in Cairo, is brokered by Qatar and the United Nations. Delegations for the Palestinian factions which are active in Gaza are currently discussing a reconciliation agreement based on the 2014 understandings in parallel with a truce with the Israeli occupation. Fatah has insisted it head the delegation however the other factions refused this proposal. A UN or non-UN civilian observer mission could be deployed “with a specific mandate to report on protection and well-being issues and provide local mediation,” Guterres said. This would also need a UN-mandate. The final option could be to send additional UN human rights, coordination and political officers to boost monitoring and reporting on the situation and increase the UN’s visibility, Guterres said. The General Assembly resolution requesting the report was adopted with 120 votes in favour, eight against and 45 abstentions. It was put forward in the General Assembly after the United States vetoed a similar resolution in the 15-member UN Security Council. “The best way to ensure the safety and protection of the Palestinian civilian population is still the negotiation of a comprehensive, just and final settlement of the Arab-Israeli conflict,” Guterres said. The Israeli occupation has turned the occupied Palestinian West Bank into a massive landfill for dangerous and toxic wastes since 1967, the Anadolu Agency revealed on Friday. Palestinian experts and officials said that 60 per cent of Israel’s waste ends up in the occupied West Bank. They stressed that this puts the life of Palestinians at stake, as well as damaging the soil and poisoning the groundwater. According to Palestinian experts, Israeli disposal of its wastes is a clear violation of international laws related to environmental protection. This is in addition to the scores of landfill sites which are used by the illegal settlements but have not been officially recognised or allocated. 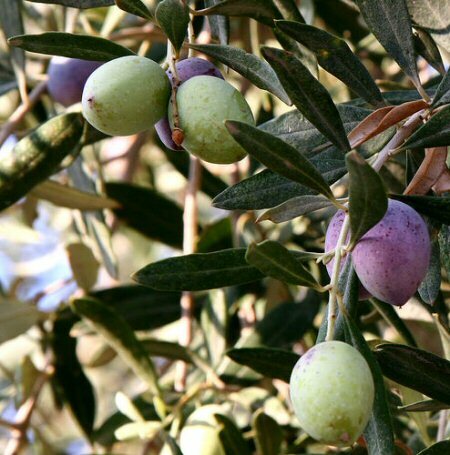 Extremist Israeli settlers, early Friday, chopped down 200 fruitful olive trees belonging to Al-Lubban Ash-Sharqiya village, south of Nablus, said a local activist, according to WAFA. Ghassan Daghlas, who monitors Israeli settlement activity in the northern West Bank, said that settlers from the illegal settlement of Eli broke into Wadi Ali area and chopped down 200 olive trees belonging to Nael Ewesat, a villager from Al-Lubban Ash-Sharqiya. This came as settlers torched a bulldozer passing nearby Yitzhar settlement and hurled stones and glass bottles at Palestinian vehicles travelling along Nablus-Tulkarem Road, damaging some 40 vehicles. The attacks came after an Israeli settler was killed by a Palestinian driver in a car accident, initially suspected as a hit-and-run attack late Thursday night. Settler violence against Palestinians and their property is routine in the West Bank and is rarely prosecuted by Israeli authorities. It includes property and mosque arsons, stone-throwing, uprooting of crops and olive trees, attacks on vulnerable homes, among others. All settlements across the West Bank are illegal under international law, particularly article 49 of the Fourth Geneva Convention, which establishes that the occupying power shall not deport or transfer parts of its own civilian population into the territory it occupies.